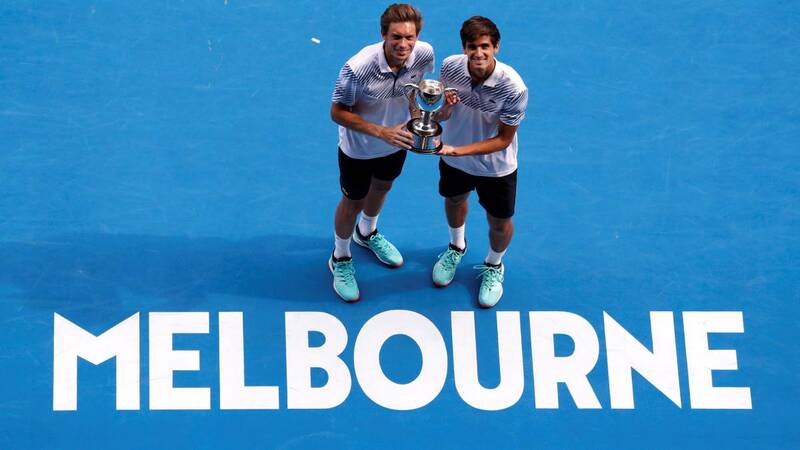 The French Pierre-Hugues Herbert and Nicolás Mahut won in the doubles final the Finn Henri Kontinen and the Australian John Peers, his fourth great. Pierre-Hugues Herbert and Nicolas Mahut have made history by becoming the eighth pair to win the four Grand Slams throughout their career. The French, winners of the 2015 US Open, Wimbledon 2016 and Roland Garros 2018, added this Sunday the doubles title of About of Australia, to win the also successful pair formed by the Finn Henri Kontinen and the Australian John Peers (won in Malbourne in 2017 and in the Masters 2016 and 2017) by 6-4 and 7-6 ( 1) in 1h: 38. Herbert and Mahut, who had already eliminated Kontinen and Peers in the Wimbledon quarterfinals in 2016, become the second gala couple to win in Australia after Llodra and Santoro (coach of Herbert) in 2003 and 2004. Y join in the historic achievement of the four majors to McGregor-Sedgman, Hoad-Rosewall, Newcombe-Roche, Woodbridge-Woodforde, Eltingh-Haarhuis and the Bryan brothers (the last to get it in Wimbledon 2006) . In his first two turns to the rest Herbert and Mahut already pressured their opponents with six break options, but it was not until the seventh, in the ninth game, when they achieved the advantage that put them on a plate the first set. In the second, they saved four break balls in the fourth game and failed to break the serve of Kontinen and Peers in the quinto. The partial was led to a tiebreaker in which, simply, razed. After the game showed that their friendship goes beyond tennis and that they want "as brothers", as described by Mahut after making history for France.